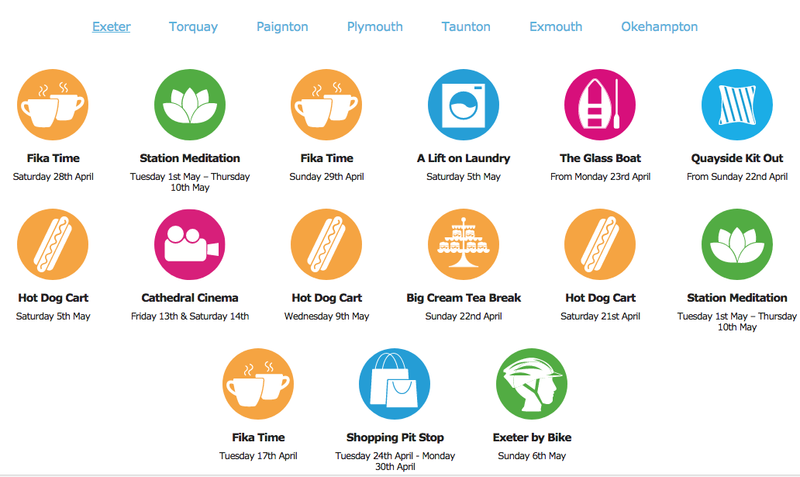 Next month IKEA is coming to Exeter and I don’t know if you’ve noticed but there will be a lot going on in the weeks leading up to the stores grand opening. IKEA have put a lot of thought and planning into their current marketing campaign by creating a variety of physical spaces. They’re not just putting up billboards and running social media campaigns, instead they’re doing what IKEA do best; they’re decorating. They’re creating physical spaces with physical products where people can interact not only with the products but also with each other. Recently they decorated Exeter Cathedral with seats and cushions and held movie screenings. Soon they’ll be decking out the ferry on Exeter Quay so people can cross the Quay in comfort, they’ll be turning Exeter Central Station into a Meditation Station and adding Pit Stops to Exeter’s Princesshay. This campaign has created events that the city of Exeter can get involved with and won’t be able to get away from. They can try out IKEA products without having to make the effort to visit the store; instead they can have a 5-minute break during their shopping trip into town while sitting on a comfortable IKEA sofa. Alongside the Pit Stops, Meditation Stations and Quayside Retreats they’ll also be hosting coffee mornings, laundry day’s, tea breaks and Hot Dog carts with free food and we all know how big a crowd free food can bring. Yesterday they held their Big Cream Tea Break down on the Quay and it attracted a massive crowd so it'll be interesting to see if the rest of their campaign has the same results. I’ll make sure to write a post after the store’s opened to see how successful their marketing has been. For now, I’ll leave you with the IKEA Calendar, feel free to check out their website for more details and maybe I’ll see you there! WE LOVE TO TALK ABOUT FLAT PACK, OR MARKETING. IT'S UP TO YOU.